the apex Yoruba socio-cultural organisation , Afenifere, has called on all Southerners resident there to start returning home. Rising from an emergency meeting held by the group to discuss the state of the nation in Lagos on Thursday, Afenifere said all Southerners should see the quit notice not as meant for Igbo people alone, but the rest of their counterparts from the region. 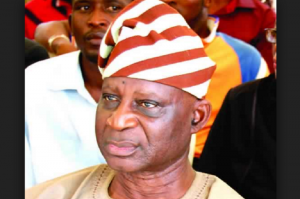 Afenifere chieftain, Senator Femi Okurounmu who was present at the meeting told Saturday Sun that the quit notice by the Arewa youths should be taken serious in view of historical experience. “This quit notice by the northern youths should not be seen by any wise Southerner as being meant for only people from the South-East, or that it is an empty threat. These northern youths meant business, and not only that, they have the backing of the northern elders, who have not only expressed their support for the youths, but have also affirmed their backing for the quit notice given to the South-Easterners. These Northerners should not be underrated, and one of the major reasons we are insisting that all Southerners should start coming back to the South now is that when these attacks on them begin, the Northerners will attack all Southerners. How are they going to be separate a Yoruba from Igbo? It is going to be difficult. Southerners shouldn’t be gullible. They should start coming home now. They should not wait until the end of the ultimatum. We don’t want a repeat of 1966-1967 pogrom, when hundreds of people of Southern origin, especially those from the South-East were massacred in the North. Okurounmu further said that Southerners should not be deceived by the arrest order on the Arewa youths by the Inspector-General of Police, Idris Ibrahim and Kaduna State governor Mallam Nasir el-Rufai, saying such order was only meant to give Nigerians the impression that action was being taken to rein in the youths. ‘‘Have these Arewa youths not been walking the streets free since the Inspector-General of Police and Governor el-Rufai ordered their arrest? The IG is a hypocrite. When crisis broke out in Osun State recently among some Hausa and Yoruba youths, is it not this same IG that immediately under 24 hours of the crisis sent mobile policemen to arrest Yoruba youths, while he left out his Hausa kinsmen? Why is the IG now unable to arrest these Hausa-Fulani youths who issued the quit notice? We are just deceiving ourselves, there is no justice in Nigeria. When an Hausa-Fulani man kills another Nigerian, he has not committed an offence, but when another Nigerian kills Hausa-Fulani man, he has committed an offence and must be punished. That is the Nigeria of today for you’’, he remarked. However, if Nigeria wants to break up, so be it, let it break up, if it wants to break up. Nigeria will not be the first country to break up . The defunct Soviet Union broke up, heavens did not fall, defunct Czechoslovakia broke up, heavens didn’t fall, and even in Africa, recently Southern Sudan broke away from Sudan and heavens didn’t fall. So, what’s the big deal if Nigeria breaks up? It is not compulsory that Nigerians should live together by force. On its own part, Yoruba Unity Forum expressed concern over the development, describing the quit notice as not only provocative, but also a shameful act. The forum, in a statement issued by its Secretary-General, Senator Anthony Adefuye, called for the immediate prosecution of the Arewa youths.